Now we're turning to Philippians chapter 1 again, and our subject is 'Suffering: The Catalyst of the Gospel', and we begin our reading at verse 12. Let me say while you're looking that up, I forgot to mention that we will be having our early morning prayer meeting as usual on Wednesday morning at seven o'clock, God willing - so please do join us if you can at that. Verse 12: "But I would ye should understand, brethren, that the things which happened unto me have fallen out rather unto the furtherance of the gospel; So that my bonds in Christ are manifest in all the palace, and in all other places; And many of the brethren in the Lord, waxing confident by my bonds, are much more bold to speak the word without fear. Some indeed preach Christ even of envy and strife; and some also of good will: The one preach Christ of contention, not sincerely, supposing to add affliction to my bonds: But the other of love, knowing that I am set for the defence of the gospel. What then? notwithstanding, every way, whether in pretence, or in truth, Christ is preached; and I therein do rejoice, yea, and will rejoice". I wonder have you ever said to yourself: 'I'm useless'? 'I'm useless, there are other people that God seems to use for good and for the gospel, but I just feel useless!'. Well, I think Paul could have perhaps had the temptation to say that as he is in prison, the great missionary of the Mediterranean, the apostle to the Gentile world - I'm sure there was a temptation for him to think himself: 'Well, I'm not locked up here under house arrest, and I'm useless for God - what good is a suffering, persecuted evangelist that can't reach the lost, that can't go out as a missionary to reach the world around?'. Well, we find that in this little epistle his reaction and his attitude to his being in prison was the exact opposite, because he's overflowing with great joy - and we learnt in the weeks that have gone by the reason that he had such great joy in the Lord. But ultimately the one common denominator, and the fundamental reason why Paul rejoiced in such grave and awful suffering, was because he knew that through his suffering the gospel of Jesus Christ was being advanced. Through his imprisonment the gospel was going forth in a way, perhaps, that couldn't have been possible but for the fact that Paul the apostle was imprisoned in Rome. Now I know through my daily visiting to people in hospital, and in their houses going through problems, I know even looking on the television screen and reading the newspapers, and you don't need to even do those things - just walking through and down life's road you know that there are people, even Christians, who feel imprisoned in their lives. That imprisonment can be caused by many and varied reasons, it could be a feeling, as women, that you're imprisoned within your home and all the chores and domestic responsibilities that you have; both men and women may feel imprisoned in their workplace, they work 9 to 5, or perhaps greater hours than that, and they would like to do something for God, but they find that they just don't have as much time as they would like. Some people are shut in, or maybe lying in bed with an illness or disease, or with paralysis, crippled with some kind of ailment, and they feel useless - they feel that something, whether it is something that is a disease or circumstantial in their life, is hemming them in, restricting them, imprisoning them to what they could do and what they feel they could perhaps be for God if that thing wasn't there. What accentuates the problem, and rubs salt into the wound, is that we often hear, and it's freely heard now with satellite television, charismatic theology that comes across in so many different and varied ways. Our Bible bookshelves are full of all these paperbacks, we get them over the radio preaching that we shouldn't have suffering in our life - and I even hear it said even in our own prayer meeting, that it's not God's will that people should suffer. My friends, we have to be extremely careful in the things that we listen to, to the teachings that we imbibe, and to even the prayers that we pray - because when you imbibe this type of theology and philosophy that it's never ever God's will that anyone should suffer, you then make the conclusion that you are not living God's best if you are experiencing suffering. Then that precipitates a prayer in your life: 'Lord, if I'm not living Your best, and if I'm suffering, then there's something wrong with my life, and I want You to remove this reason for my suffering because I want to be better for You, and I know that I cannot be better unless I am rid of this imprisonment, whatever it may be'. Now listen very carefully to me, because I don't want to be misunderstood, because it's very easy when you're preaching on the subject of suffering to be misunderstood. I am not talking about things that we can change in our lives. I'm not talking about sins that we can get rid of, that we must get rid of and the word of God commands us to do so - those sins that so easily beset us. I'm not even talking about doubtful things or legitimate things that can weigh us down that we can change, habits that we can put out, habits that we can bring into our lives to make us more godly, to make us more effective and useful for Christ - that is not what I'm talking about. I'm talking about imprisonments and circumstances that are purely providential from the hand of God. They have come into your life and there is nothing, humanly speaking, that you can do about it, but you feel that it restricts your service for God. Now this problem of suffering, human suffering, is one of the profoundest questions - theological and philosophical - that has ever faced the human mind and intellect. It's so difficult to understand. We meet it when we evangelise with people: 'Why does God, if He is sovereign and He can do anything, why does He allow people to suffer?'. Now, I'm not standing up here today claiming that I have all the answers, I have far from all the answers, I may not even have any answers apart from what I can glean from the word of God - but I want you to remember in all of your analysing personally and of others, what they're going through in their life with regards to suffering, I want you to remember always two fundamental things. The first is this: suffering is the result of the fall of man, suffering does not come from God, suffering comes from sin which has been instigated by original sin in our forefathers in the Garden of Eden, from the fall of man. But the converse of that, and the other side of the coin which you must always remember as a Christian is that although God is not the originator of suffering, God in His providence can work for good in suffering. God can take that same suffering and work out His eternal purposes and plans in it. That is the marvellous thing that we find in this epistle, that God can bring the best results out of the darkest circumstances. Now let's not make the confusion of what I will be speaking on this morning, what Paul is addressing in this book: we're not talking about suffering that results from sin - you get that in the Bible, there is suffering even in the life of a believer that results from sin, and you can see it in the book of 1 Corinthians, and we'll be dealing with it later on in our Bible Reading. Around the Lord's table there were some of them who were weak and sickly, some of them even dying, Paul said, who were asleep because there was sin in the camp as they were breaking bread - they were getting drunk at the Lord's table, it specifically says they were drinking unworthily, unthoughtfully, without thinking it they were coming and drinking at the Lord's table and eating like some kind of a banquet. Their sin brought judgement upon them, and you can have judgement and suffering in your life because of sin, but that's not what we're talking about today. In the book of Job we find another reason for suffering, we read that Job didn't sin with his mouth when he was in all the talking with God and going through all of his awful experiences - what I believe the book of Job is teaching us, and the path that Job was being brought along by the Spirit of God, was to reveal to him more about the person of God. Job didn't understand all that he needed about God, so God brought him through this process of suffering to reveal more about Himself to him. We can have suffering in our lives because of sin, but we can also have suffering as a discipline in our lives to be drawn nearer to God and have God revealed to us in a way that could only happen through our suffering. The third reason is found in the personality of Paul the apostle himself, because God can take up suffering and He can use it in His providential sovereignty as a device to prevent sin in our lives as Christians. Paul's thorn in the flesh, that he incidentally came to God three times and prayed that God would remove, God said He wouldn't remove it, His grace would be sufficient for his need at that particular time - but the reason why He wouldn't remove it was because it was for his good. He'd had so many revelations, he'd been shown so many mysteries about the future and about the church Jesus Christ, that the temptation was very great for him to become proud. So God gave him suffering as a device to prevent sin in his life. The fourth reason, and I don't say that this list is exhaustive, but the fourth reason is what we're looking at today and it's this: suffering can and often is used to advance the gospel of Jesus Christ. Now if you're sitting in our meeting today and you're suffering, can I tell you - provided you're not suffering from sin, and only you can answer that - you may be suffering to learn more about God, you may be suffering to prevent sin in your life, but even if it's one of those latter three that I've mentioned, it can be included in this advancement of the Gospel. You've got to see in your mind and your heart today that your suffering is not a prison! Your suffering is not a barrier to the Gospel, but primarily it is the greatest catalyst to the Gospel that the New Testament knows! It, above perhaps anything, evangelistically, can precipitate change in your life and in the lives of those people around you. I want you to see from this passage today how the Gospel was advanced through Paul's suffering. Look first of all, he witnessed to the soldiers - we'll see that later - his suffering witnessed to the soldiers. Then his suffering brought encouragement to the church, they were encouraged to preach the Gospel because he was suffering for the Gospel. Then we find that it even motivated other preachers, some of them were rival preachers, some of them were ambitious and selfish, there were some who were perfectly sincere - but the great joy that was brought to the heart of the apostle was in the fact that no matter what or who was preaching the Gospel, Christ was being preached! No matter how much he suffered, no matter what he went through, even regardless of his own imprisonment in Rome, he had overflowing bubbling joy because Christ was being preached! Now what I want to communicate to you today from these verses is that you will have real joy in suffering if you realise several things. One: if you realise that the Gospel is advanced through your suffering. Look at verse 12: 'But I would ye should understand, brethren, that the things which happened unto me have fallen out rather unto the furtherance of the gospel'. We ought never ever to lose sight of the Christian doctrine and philosophy that misfortune can serve a good purpose in the eyes of sovereign God. The key to that statement that misfortune can serve a good purpose is the word 'purpose'. Purpose! We are not a people that talk, or we ought not to talk or live according to chance. We don't talk about coincidence, we don't believe in luck or even fate, but we believe in the principle of divine purpose - that there is a God in heaven who is managing our affairs and our lives, and He has ways and plans for us. Admittedly God's ways and God's plans at times can feel impossible toward us, we can't understand it, it seems absolutely foolish. It seems foolish to me that Paul, the great apostle, is locked up in prison. He is the greatest evangelising force in the Mediterranean word, yes in the church Jesus Christ of his age, yet God lets him get locked up. Now that doesn't make sense to my human rationale and reasoning, I don't understand it, especially when we think of the church that's pitifully small, and this is a death blow to them that their great apostle is locked up! But that's because we can't see the workings and mechanisms of God. Paul says the opposite to what we would think, verse 12, that through his being locked up in prison the Gospel is being advanced - that's what it literally means, advanced. One paraphrase says: 'Everything that has happened to me has been a great boost in getting out the good news concerning Christ'. To the Philippians it seems like a disaster. Incidentally, isn't it interesting that it is often those who witness suffering that feel the pain the most? Those who are looking on, they're not going through the suffering but they're going through watching the suffering - and it can seem worse to them, because in our human nature and in the nature of the Philippians who helped Paul on previous occasions, they just want to come to his aid, they want to release him from his prison, they want to help him, they want to minister to him, they want to stop all this stuff that doesn't seem to make sense for the Gospel to go abroad. Yet Paul didn't view it in that way, he says: 'No, but this has served as a divine purpose to give a great boost in getting the good news out!'. Roy Lauren, the Christian author, said this: 'What seemed to sight to be a retardation, was to faith in fact an acceleration'. What seemed to hinder really served to help, what seemed to prevent in actual fact promoted, and what appeared to be misfortune provided a blessing! It wasn't just because of Paul's commitment to the Gospel, or Paul's commitment to Christ, but because in prison Paul was being an effective channel of the Gospel. Can I just say to you: we all pray for many many things, but we all know full well that we don't always get the answers to our prayers that we're looking for, or even the answer that we expect. It was exactly the same with the great apostle Paul. In Acts chapter 19 he expresses his wish to go to Jerusalem, and then 'After I have been there', he says, 'I must also see Rome'. God later on, in chapter 23 of Acts, says Paul: 'For as thou hast testified of me in Jerusalem, so must thou bear witness also in Rome'. But He didn't tell him how he was going to bear witness, did He? He didn't tell him he was going to be a prisoner, that he wasn't going to be able to go out in the highways and byways and compel them to come in. God doesn't always tell us everything when He answers our prayers, and maybe things don't turn out the way that we would like them to turn out, but Paul says in encouragement to us all who experience this perhaps on a weekly basis: when we can't make sense of what God is doing in some of His purposes, when we accept by faith it will bring joy, and it will radically affect other people in the Gospel - the Gospel will advance! You will have real joy in suffering not only if you realise that the Gospel is advanced, but also that your testimony is witnessed. Look at verse 13: 'So that my bonds in Christ are manifest in all the palace', or the Praetorium, 'and in all other places'. The Romans even were affected by Paul's great joy in his suffering. When we can't make sense of what God is doing in some of His purposes, when we accept by faith it will bring joy, and it will radically affect other people in the Gospel - the Gospel will advance! You have to remember that Paul probably was obscure to everybody in the city of Rome, he was an unknown, anonymous - but all of a sudden he gets put in prison and everybody knows his name. He becomes a spectacle. He goes from anonymity to the attention of the palace, or literally the Praetorium Guard, the great barracks where all the Imperial bodyguards met and slept and ate. It goes further, it says 'not only in the palace but in all other places'. It all stemmed from him being put in prison. Now his influence wasn't just confined to the church at Philippi, or even the church at Rome, but his influence was going through the whole of the Imperial guard, going through slaves and courtiers and even the general population of the city of Rome. Paul was in prison, but don't think that he was in - well, I nearly said a prison like our prisons, but he definitely wasn't in a prison like our prisons - he was under house arrest. He wasn't behind bars or anything like that, he was probably in the grounds of the Praetorium, the grounds of that barracks in a little house. In all likelihood there was chained to his arm a Roman Praetorian guard, a soldier, 24 hours a day chained onto the apostle Paul. He would swap over every six hours and do shifts, like many of you do in your work, but imagine what it would've been like to have been that Praetorian guard shackled to the apostle Paul - it would have been a nightmare, in my opinion at least! When you think and consider that John Mark and Demas - I imagine, maybe reading in a little bit to the narrative in the New Testament - but I think they found it hard going with Paul. Hard going following that little old man with all his disabilities and ailments, yet ploughing on the Gospel into all of Europe. It was difficult, and they forsook him, they left him - but what would it have been like to have been this soldier who had no interest in the Gospel, no interest in Christ, and every day this man is reading the Scriptures, he's on his knees praying and the soldier has to get down on his knees, and then he's maybe fasting, and then he's over in the corner of the room getting his parchment and getting his quill and starting to write a letter to the Philippians or to the Ephesians or some other church. He's up and down in prayers and fastings often, and telling this person of the great gospel and the great joy that he has! From each one of those soldiers, I believe, each one of them remember every six hours going back to the barracks and another one coming - Paul couldn't get out to preach the Gospel, what was he doing? He was bringing them to him and preaching the Gospel in the circumstances that he found himself in! What an encouragement that is! Paul had a captive audience 24 hours a day of one chained onto his arm! We believe that many were converted, and we believe that the Gospel went into the population of Rome because of that. Now let me point this out to you in case you miss it, that the result of Paul's predicament was out of all proportion to the disadvantage that he suffered! It was out of all proportion to what you would think would be the outcome of being in prison, you would have thought that this type of a revival would happen by the great man standing on Acropolis and preaching the Gospel to all the philosophers, but no: it came disproportionately from the suffering that he endured. Bishop T.W. Jury (sp?) said: 'The very chain which Roman discipline riveted on the prisoner's arm secured to his side a hearer who would tell the story of patient suffering for Christ among those who the next day might be in attendance on Nero himself'. That's what we mean when we said last Monday night that the foolishness of God is wiser than the wisdom of men. Can I ask you this morning: what are your chains? What is your imprisonment? Is it a bed? Is it a sickness? People listening to me on tape who can't get out to join in fellowship with us - what is it? Is it your home? Ladies, is it your kitchen sink? Men, is it the lack of money - an economic imprisonment, you just can't seem to break out of this debt, or the wages don't seem to go up as much as you would like? And you feel that because of these things your life serves no useful purpose. Would you please remember this: you are being observed by other people! If you have real joy in your suffering they will see it everyday in the office, in the classroom, at home, every hour. What do they see when they scrutinise you? If you have real joy in your suffering they will see it everyday in the office, in the classroom, at home, every hour. What do they see when they scrutinise you? Some people go into the hospital, maybe for a minor operation, and they don't know why it is - but then they get to speak to someone in the right-hand bed, or in the left-hand bed, or a nurse, or a doctor - and for such a time as this, like Esther, they can often be brought into hospital. I've heard it! Brought into hospital to meet someone who they could meet in no other way, to share the Gospel and that person gets saved! Remember in your suffering, although you may feel imprisoned, although you may feel useless, remember that the Gospel potentially can be advanced through your suffering! Your testimony is being witnessed! Now don't get me wrong, I'm not saying that you jump up and down and shout 'Hallelujah' when you go through trial. I'm not saying that you have really feel in your heart and work up some kind of emotion: 'Oh this is God's will and I ought to be happy' - but what I want you to see is that suffering above maybe anything else is God's providential pulpit to preach the Gospel. Life has its prisons as well as its palaces, and the sooner we accept that this is God's way of sharing the Gospel with others, many will see it and fear and will trust in the Lord. Thirdly you will have real joy in suffering if you realise that the church is encouraged. The church is encouraged, verse 14: 'Many of the brethren in the Lord, waxing confident by my bonds, are much more bold to speak the word without fear'. This attitude of joy was contagious, not only among the Roman soldiers, but among the church in Philippi. Kenneth Wuest translates this verse: 'Fearlessly they were breaking their silence and speaking the word'. They were emboldened to preach the Gospel, they had fearful surroundings but when they saw the example of Paul and what he was going through and the joy that overflowed, well they just went out nevertheless and preached the Gospel - and we read that there were many saved. Now what am I teaching you? It's this: your testimony is being witnessed, but also in the church of Jesus Christ you can never ever know the extent and the significance of how you suffer for Christ - you'll never know! The influence that you're perhaps having at this very moment on other Christians - never underestimate it - by the way that you suffer, the way that you go through pain. It may be that God has to put these chains on you and put you in this prison to help other people, to encourage other people in the church of Jesus Christ. Mothers, it may be that you feel chained because you have to share the Gospel with other mothers. Businessman, you may feel chained because you have to share it with people that I could never reach. Person who is sick with a debilitating disease, you may be able to share the Gospel with other patients that I will never meet. We all have our little parishes to go to and to share the Gospel. Think of Susanna Wesley, 19 children day after day - what that must have been like before any mod-cons or disposable nappies - and she ploughed her life of godliness and prayer, and two of her sons, John and Charles, turned Britain upside-down for Jesus Christ and we're still living in the influence of it! Fanny Crosby, blinded from six weeks old as a child, but she was not left in darkness with regard to her influence for Jesus Christ - we're still singing her hymns and it brings great joy to the church of Jesus Christ at large, because she realised that the church is encouraged by the way that we face our suffering. We don't need new methods today, I think the greatest method that we could have is the suffering servant of Jesus Christ! He'll not like me saying this, but there's a young man in Portadown, and after I preach this sermon he will transcribe every word and he will put it on the internet. He is confined to a wheelchair, he has pain daily, but he's doing something out of his suffering that I could never do - and it is advancing the Gospel! It is a testimony that people are seeing and it is encouraging other people and the church of Jesus Christ at large. We in the West need to realise that the church is not advanced through money or through power, but primarily through the suffering witness of the weak. Ask yourself: where is the church advancing in the world today? Is it in the States? Well, it's big in the States, but I wouldn't say it's advancing. We get all this bombardment of church growth literature from the United States, but we don't need the church growth movement of the US, what we need to get back to is the church growth movement of Ecuador! What's that? It's a man and his wife called Jim and Elisabeth Elliot and their little child Valerie, going to the Auca Indians, and Jim goes off on his own with four other missionaries and tries to contact them, and he is slain as a martyr for Christ - and then his wife Elisabeth takes up the mantle and goes into those people who killed her husband and learns their language, and writes down the word of God and shares the Gospel with them and brings her little child up in the midst of them, and they are saved and preaching the Gospel today! What is that? It is the spirit of the imprisoned Paul. How that rebukes us, but how it encourages us - we don't need new methods today, I think the greatest method that we could have is the suffering servant of Jesus Christ! Fourthly, you will have real joy in suffering if you realise that the enemy is confounded, the enemy is confounded. If you look at verses 15 to 17 you find that some people were preaching Christ outside of prison for jealousy, some for strife, some out of party spirit, and some even to aggravate Paul's imprisonment - they were wanting Paul to get a hiding, proverbially, in prison because the Gospel was advancing outside. They thought: 'If we preach it, he'll get a beating'. Well, who are they? Well, all the scholars speculate, some say Judaisers, I don't think it is the Judaisers, because in all the things that Paul mentions here he doesn't mention that they're preaching a different message. He mentions that they're preaching Christ. I think what we have here is people that weren't opposed to Paul's doctrine, but people who are opposed to Paul's personality. They're opposed to him as he is as a person, they're jealous of him, they're jealous of his success, jealous of how he gets on with people, how he is a great missionary, maybe because he is the great apostle. I don't think Paul would have rejoiced if they were preaching a false Gospel, in Galatians he anathematises, he curses people who are preaching a false Gospel. But I think what he is saying here is: 'I know these people are against me, I have a personality clash with them, or they have a personality clash with me, but I don't care because Christ is preached, the message is preached, and that's all that I'm worried about!'. This is tremendous humility, isn't it? The word literally used here for strife and envy and all this is the word that was later used, came to be used, as canvassing for office. You know the politicians make you sick, you see them kissing the little babies and giving them sweets and all the rest, that type of hypocrisy, pretention - they were going to try and be like Paul, or try and be better than Paul, yet they were preaching the message. And Paul said: 'I don't care what their motive is, as long as Christ is preached'. Well, once they got Paul out of their way they saw their opportunity to further and advance not the Gospel, but their own interest and influence, their self-seeking ambition. I think, if I was Paul, I would have got really upset - but what does he do? He gets real joy - why? Because if you believe in a sovereign, loving God who doesn't just put you through life's prisons for kicks but has a purpose, has a plan and a design, you can also believe in a God who can overrule even false preaching and bring people to Christ through it! The only Bible that some people will read is you, and they will read how you suffer. This was the Master's method was it not? It's wonderful, he didn't care! Not that he didn't care about error, but he didn't care to fight battles for his own name - he knew that the wrath of God would praise him. Well, you think of Joseph, that's who I thought of when I was studying - all that Joseph went through, and at the end of his awful life, we haven't got time to go into it but you know about it, but it was said like a summary and a conclusion: 'But as for you, ye thought evil against me, but God meant it for good to bring to pass as it is this day to save much people alive'. Isn't it wonderful that God can even work through the personality clashes? Look at Paul and Barnabas, He overruled it and brought it round for good! Keeping watch upon His own'. The enemy is confounded even in our suffering. You will have real joy in your suffering if you realise that the Christ is preached. Listen to what he said, he didn't say 'Because I preach Christ'. He didn't rejoice because he was preaching it, he rejoiced because Christ was preached. In modern jargon could I paraphrase it: he couldn't care less as long as Christ is preached! As long as, as he says in Thessalonians, the Gospel has free course. He's not excusing error, he's not saying that we have to be blinded to error, but he's acknowledging that in spite of a system that's unbiblical God can do something not because of the system but regardless of the system! There's a man here this morning and he was pointed to Christ by a man who wasn't a believer. How do you work that one out? I've heard of people who have heard a pop song, and it has clicked something in their mind; I've heard of people watching a film, seeing a billboard, and it just engenders something in their heart and in their mind because God is sovereign and He can take anything up - even in the most ungodly religions and systems, you see Martin Luther mounting up those steps on his knees bleeding for penance and God reveals to him: 'The just shall live by faith', not works, faith! Oh, we rejoice that Christ is preached. Let me say, as we close today, we are epistles written unto men. The only Bible that some people will read is you, and they will read how you suffer. This was the Master's method was it not? The Lord Jesus Christ going through such agony and torment on Calvary, but the purpose of His suffering was God's redemptive work and our salvation! Is a servant above his Master? No, Paul says, 'That I may know Him, the power of His resurrection, and the fellowship of His sufferings. For as the sufferings of Christ abound in us, always bearing about in the body the dying of the Lord Jesus, that the life also of Jesus might be made manifest in our body. Let this mind be in you which was also in Christ Jesus'. Billy Strachan, who we know and lovingly remember, wrote a little book on the book of Philippians and he called it this: 'You Can Be Fruitful in Your Isolation'. Did you hear that? God has a plan for you to give you life's greatest joy, even in its greatest darkest hours. Father, we pray this morning for all those in our gathering who are suffering in one way or another. We pray that You will engender that Spirit-given joy shed abroad in their heart by faith, to realise that in their suffering the Gospel can be advanced, their testimony is witnessed, the church is encouraged, the enemy is confounded, and the Christ is preached. Father, help us to suffer well. None of us wants to suffer, but Lord help us that in it we would be on our Father's love relying, Jesus every need supplying, or in living, or in dying, to know all will be well. So help us to take with us this morning that great promise of Thy word, that all things work together for good to them that love God, to them that are the called according to His purpose - for we pray in the name of the Lord Jesus, that Man of Sorrows who suffered that we might know the joy of sins forgiven. Amen. 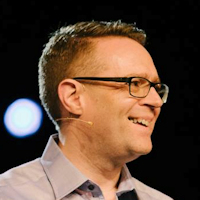 Don't miss Part 6 of 'Philippians': "The Joy Of Suffering Service"
This sermon was delivered at The Iron Hall Assembly in Belfast, Northern Ireland, by Pastor David Legge. It was transcribed from the fifth tape in his Philippians series, titled "Suffering: The Catalyst Of The Gospel" - Transcribed by Andrew Watkins, Preach The Word.